No office, but use of our postal address as your business address and dedicated phone line/forwarding service. 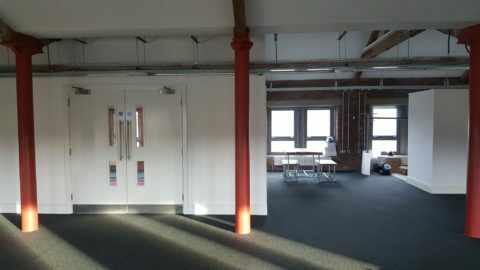 Shared office space in our pre start-up hub for you to build your ideas and get the ball rolling. This space is available to pre start-up’s only. Designed to provide new companies with a fantastic starting point, this package includes a substantial rental subsidy of up to 50%, paid for by Halifax Opportunities Trust – the rents start low and increase to our regular rates as your business grows. Security and flexibility for your growing enterprise, our Growth Space package allows you to move and configure space within the Centre to your exact requirements safe in the knowledge that our main priority is your success, not our bottom line, because when you thrive – so do we. We offer various types of spaces at Elsie Whiteley ranging from virtual desks to fully customisable office spaces. All our services are tailored around your needs. Use of our address as your business address, including mail handling. A dedicated call forwarding service. Tenant meeting rooms that are free to book. A reception facility that acts as that missing member of your team. 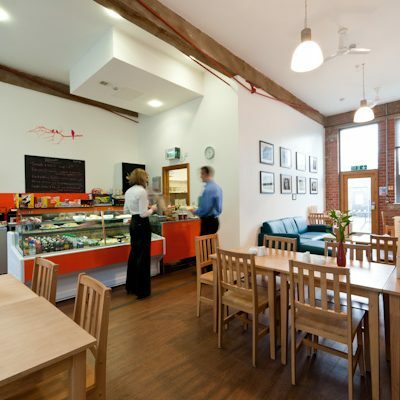 Onsite cafe – a great place to meet clients and colleagues over lunch or coffee. Dedicated tenant meeting rooms that are free to book. Subsidised rental packages for start-ups. Find out more about our start-up packages here. 24 hour access to your office, 365 days a year. Equipment hire included as standard in your package. Parking for up to 60 delegates. Onsite cafe to cater for all your conferencing needs. Free WIFI in every meeting room. For more information about the tenancy packages and the current space we have available please contact Centre Manager, Jason Bell at jason.bell@innovationhalifax.net or take a look at our Perks and Prices. Each named after innovation hubs from across the globe, meeting rooms at Elsie Whiteley cater for everything from small spaces suited to one or two people, to large open-plan rooms and lecture theatres suitable for staff away days, product launches and training sessions.